Goat cheese --- 6 oz. Combine goat cheese with TABASCO® Sauce; chill. Stretch pizza dough and spread pesto on top. Place rainbow beets all over the top of the stretched dough, and crumble chilled goat cheese mixture over beets. 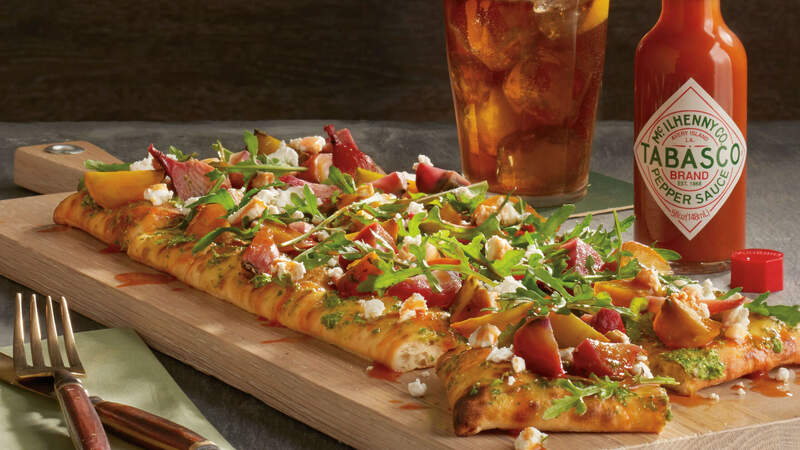 Slice flatbread, then finish with arugula over the top.